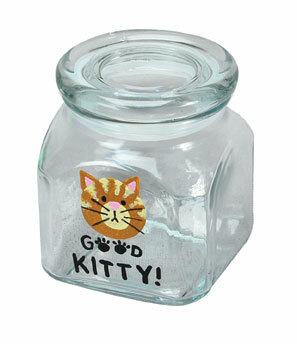 Store those snacks for Tigger in his own treat jar made with painted kitty. DAG04 - Sand --- NEW!! DAG31 - Baby Pink --- NEW!! DAG67 - Black --- NEW!! DAG163 - Honey Brown --- NEW!! Preparation: Remove all stickers or labels from surface before painting. Use 1 1/4" pouncer dipped in Honey Brown to make circle for cat head. Use round brush to make small triangles for ears on top of head. Let dry. Use 1/2" pouncer dipped in Sand to make small circle for cat's muzzle. Use round brush to paint stripes at upper sides of cat head. Let dry. Use liner brush and Baby Pink to paint inverted triangular nose and small triangles for inside ears; let dry. Use liner brush and Black to paint lines for whiskers and mouth; make small Black dots for eyes. Paint words "GOOD KITTY", using paw prints for letter O; let dry. I think Martha Stewart had some segment on recipes treats. There used to be another show called Creative Juices that had the recipes as well. If I remember correctly they were simple, good and healthy treats too. And you know what's going into them. LOVE THIS PROJECT, BUT WHERE'S THE SIMPLE RECIPE FOR THE TREATS?? ?